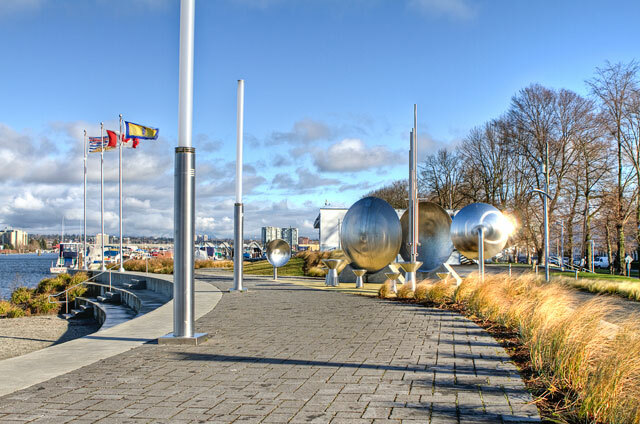 The Middle Arm Waterfront Park is a 1.5 km. 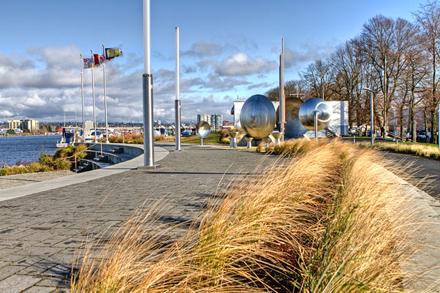 linear park overlooking the water. 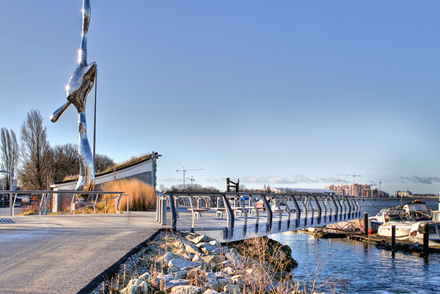 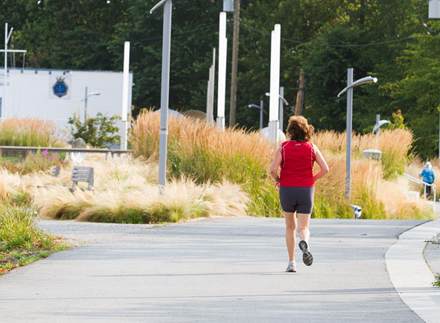 Home to the Richmond Olympic Oval and UBC Lecky Boathouse, this is the City’s most urban waterfront. 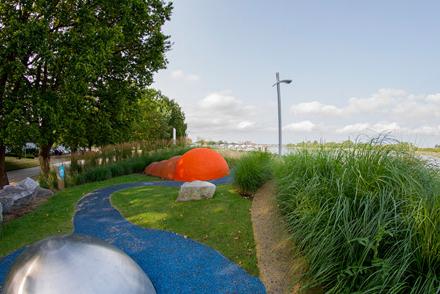 Each year more amenities and interesting features are being added. 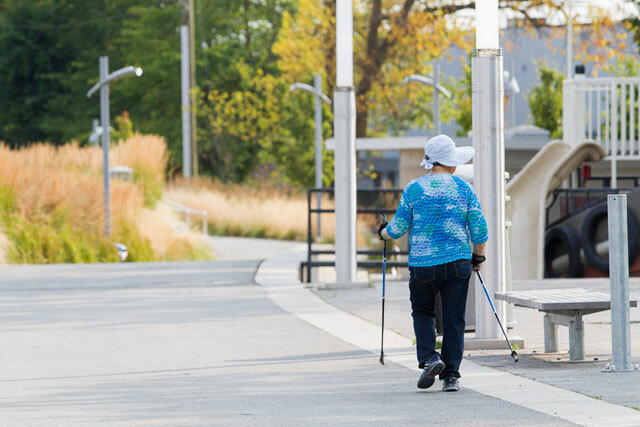 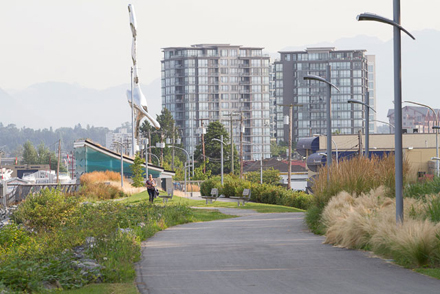 Enjoy views of the North Shore Mountains as you walk or cycle the path—between Cambie Road, just one block from the Aberdeen Canada Line station, and the Richmond Olympic Oval. 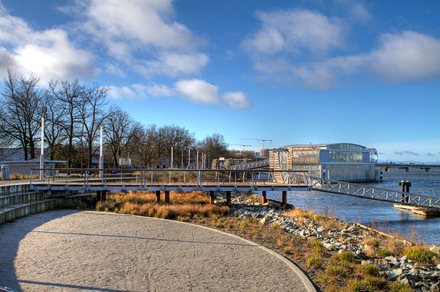 You can also watch rowing regattas, or participate in a rowing or boating program at one of the facilities located in the park.